We've been proudly serving downtown Greenville for over twenty years. Our signature Brick Oven Pizzas and warm ambience are the heart of our restaurant. To learn more about our story, click below. Due to our limited seating and high volume of customers, we do not take reservations. However, if you have a party of 8 or more please call a manager at (864)467-1000 to see if we can minimize your wait time. 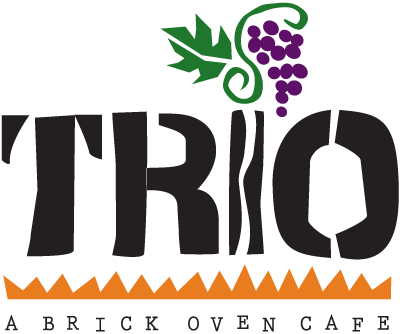 Trio is now offering some of our favorite menu items for large party carry out. Allow Trio to help make your next party, meeting or gathering a little easier!